Margaret River is a small town in the south west of Western Australia. It is primarily known as a great surfing location, but is also located amongst a huge number of vineyards and various other forms of attractions. It is within a few hours’ drive of Perth, and has some impressive beaches too. The south west of Western Australia is truly a different world in terms of beaches, flora and fauna. 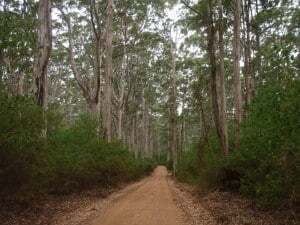 The huge karri forests are stunning to visit, not to mention thousands and thousands of acres of beautiful vines and a huge variety of places to stay. 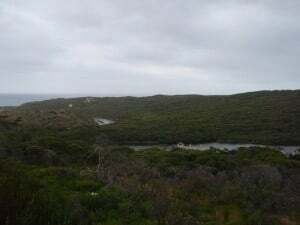 Margaret River is located about 45km south of Dunsborough. To get to Margaret River, you simply head south on the Kwinana freeway, and onto the new Forrest Hwy. Follow this all the way down to Bunbury, and then follow the huge green signs pointing to Margaret River. The Bussell Hwy goes through Margaret River, so it shouldn’t be too difficult! Alternatively you can drive through Dunsborough and down the coast for a scenic route. To be totally honest, this is one of two reasons that Margaret River is so popular. The other is the wine! If you live in Western Australia, love huge waves and want consistency in them, then you head to Margaret River. There are a few different breaks available (some reef and some onto the shore) along with some massive breaks out in the deep (but you might be struggling to find any information on these, as they are scarcely talked about!). Competitions are frequently held in Margaret River, and with waves which sometimes exceed 4 metres tall, there is no doubt in why it is such a popular place for competitions. Even if you aren’t into the whole surfing thing, it is a real pleasure to sit on the rocks and take it all in. When you see the surfers drop in from several metres in the air, take off and get air it truly is worth watching. 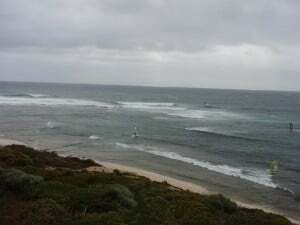 On a good day, there can be hundreds of surfers and body boarders out at Margaret River across the breaks. It is set up well for those who are just learning right through to the professionals. 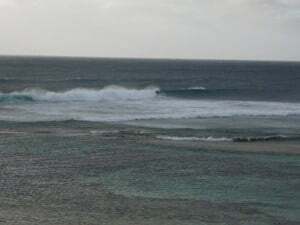 The breaks run all the way from Pingelly right through to the Margaret River Mouth, on the sand. Many people enjoy windsurfing and kite surfing in this area too, so don’t be surprised if you see a large number of these playing in the waves too. Both kite surfers and windsurfers love to surf and jump the waves in too, and these are just as much fun to watch. If you have a decent SLR camera, take a good lens for zoom and shoot your heart out. It’s not uncommon to see some really good surfers in the water too, so getting some stunning shots isn’t too hard! Margaret River is no small town. There are shops that cater for almost anything that you need. Sure, they might be a bit more expensive but the essentials are there. Of course sourcing harder items might take a bit longer (like car and boat parts), but it is still doable. There are a few service stations available, but be prepared to pay at least 10 – 25 cents over the normal price in Perth per litre. Obviously to match the surfing theme a large number of surfing and water sport shops can be found in Margaret River, as well as a staggering number of places that you can eat. The Margaret River Fudge Factory is another popular attraction, which is visited by hundreds of thousands of people every year. They sell not only fudge, but a whole range of lollies and other bits and pieces. Fudge tasting is also available, and it is a great place to have a look. 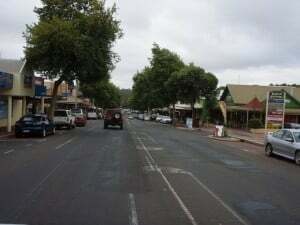 The main part of Margaret River is fairly bunched together (one real main street) which you can easily walk up and down if you want a stretch. There is also parking on the side of the roads, and bigger parking lots around the place. Accommodation ranges from right on the coast near Pingelly or more inland, near the Town of Margaret River itself. There are also a few houses that follow the river, but these can be incredibly expensive (especially in peak seasons!). There are a few caravan parks, motels and even resorts. 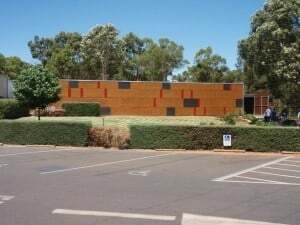 I have heard that the backpackers in Margaret River is great value (under $25 a night for adults) with good facilities to make yourself very comfortable. These are often well worth a stay, as you tend to meet a whole heap of new people whilst enjoying yourself for a bargain! If you do stay right on the coast, be prepared to get battered by the wind at times. This is especially the case when bad weather is on the way, and combined with some cooler temperatures it can be a real task to stand outside for more than a few minutes without some serious clothing. The beaches are very nice to walk along, swim in and just relax on though. As per everywhere else, it’s more expensive if you stay close to the water, but with only a 10 minute drive to the coast from the Town of Margaret River it doesn’t make much difference. This is another huge attraction to Margaret River. The south west of WA is a stunning place in terms of what Mother Nature has to offer. You will be absolutely amazed at the forests, pristine farmland and a location that is totally different to the rest of Western Australia. To make it even more pretty however, hundreds and hundreds of vineyards have been created. These range in size and complexity, but most grow their own grapes and make their own wine. Most also have big lakes and well manicured areas to ensure that everything looks top notch. A large number also have restaurants, cafes, wine shops and wine tasting. This is something which brings thousands to the Margaret River area every year. The vineyards start just south of Dunsborough and continue almost all of the way south through to Augusta. Where there is wine, there is cheese! Margaret River is no exception to this, and there is even a Cheese Factory. You can go there and taste various types of cheese and purchase a wide range of dairy products. This is a bit smaller than the Margaret River Chocolate Factory, but still worth a look. It is located within a few kilometres of the chocolate factory too, which makes it handy to visit whilst driving around this great region. The Margaret River Chocolate Factory is a very popular tourist attraction. It is located a few kilometres north of the town itself, but not too difficult to find. It incorporates a shop which sells a variety of chocolates, fudge, rocky roads and various other chocolate goodies. It also sells jams and other bits and pieces. There is a café where you can relax and have a coffee and a cake whilst overlooking some of Western Australia’s stunning nature. Tasting of the chocolate is free, and you can walk in, take a look, eat some chocolate and then leave if you want! The Margaret River Caves are truly worth a look. You can purchase tickets to view several caves (at a discount for each cave) or tickets at each cave. 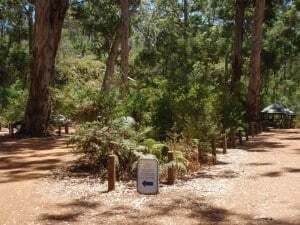 They are all found on caves road, and south of Margaret River. Mammoth Cave is the largest, with a self guided tour. Lakes cave is said to be the prettiest, with water in the bottom of the cave all year round. 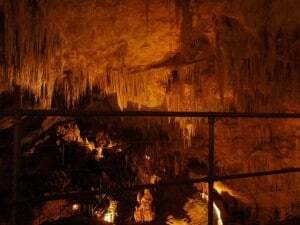 Giants Cave has an adventure tour for those who want to get a bit dirty and see the real sights underground, and there are a few other caves which you can visit too. Visiting of the caves usually costs around $20 for an adult and $10 for a child, but they are truly an attraction which you would regret missing. Other places which are worth visiting around Margaret River include Dunsborough, Busselton, Yallingup, Augusta, Smiths Beach and Hamilton Bay. The whole of the South West of Western Australia is a great place to drive around, if you make a day of it. Pick a day with good weather and just drive around this great region. Be very careful of the winding roads, as they have claimed more than their fair share of lives. The huge Karri trees are not very forgiving if you crash into them! The great thing about the coast in this area is that it is facing a huge variety of orientations. Together with Mother Nature, this brings in a completely different coastline. Augusta faces directly south, and has some of the roughest water in Western Australia on a bad day. Margaret River is truly an epic place to visit. If you have done any surfing at all, then Margaret River is the place to visit. If you just want to relax in the tranquil parts of Western Australia, then this is also for you. Speaking of which, there are a huge number of bush properties in the Margaret River area which are decked out to sleep over 10 people and are completely luxurious, with a lot of space and even water front views. If you haven’t been to this part of Western Australia, then now is your time to go!